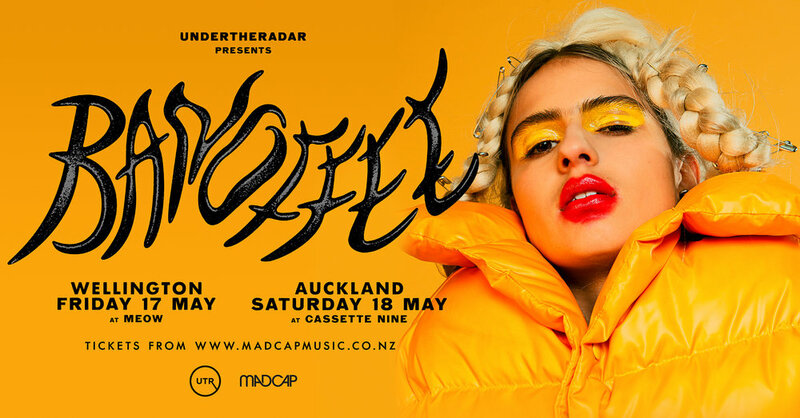 The Melbourne-born, LA-based multi-disciplined artist bAnoffee announces her return to New Zealand with two headline shows. Her live show has gone from strength to strength, as her incredible, unique take on pop music continues to mature, and these shows will be a chance for fans to enjoy unreleased tracks, as well as cuts from her beloved back catalogue. bAnoffee arrived on the music scene releasing an eponymous debut EP in 2014. She is well known for her lithe, glassy pop songs that are just as hooky and emotionally splicing. She followed it up with another stellar EP ‘Do I Make You Nervous?’ in 2015 and a flurry of infectious singles leading up to 2018, which saw her on the road with Charli XCX’s live band, supporting Taylor Swift’s gargantuan Reputation Tour. The forward-thinking artist is unstoppable, currently finishing her debut album. This is a unique opportunity to see bAnoffee perform live in an intimate setting.